Dr. O'Brien continues to provide his patients with the most state of the art advanced techniques in cataract and refractive surgery. "Bringing a high touch to our small town community has been my goal since arriving here 23 years ago from the world renowned Wills Eye Hospital," says Dr. O'Brien. The American Board of Ophthalmology is an independent, not-for-profit organization responsible for certifying ophthalmologists (eye physicians and surgeons) in the United States. 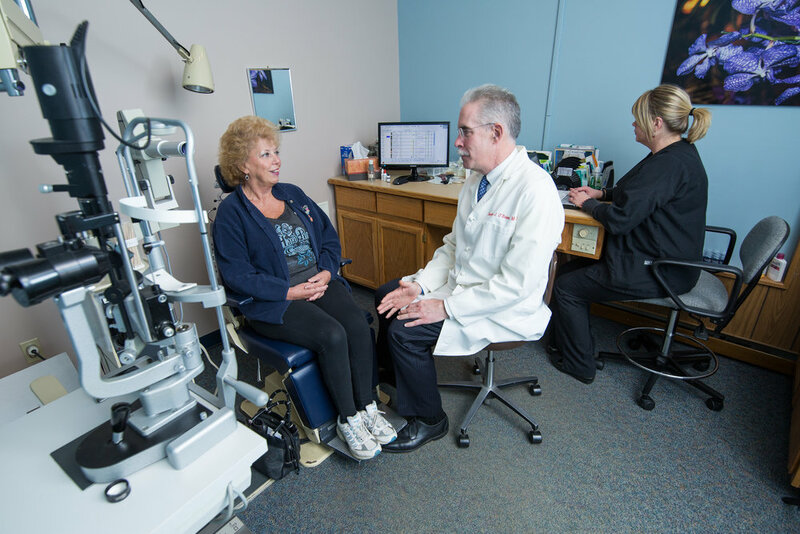 The ABO was the first American board established to certify medical specialists and offers the only eye care certificate recognized by both the American Board of Medical Specialties and the American Medical Association. "I was the first in my family to go to college", says Dr. O'Brien. Dr. O'Brien began his higher education by earning a B.S. in Pharmacy from the University of Pittsburgh in 1982. He worked as a pediatric pharmacist for 5 years at Childrens Hospital of Pittsburgh and then entered Jefferson Medical College in Philadelphia. " I really knew that pharmacy would provide me a great springboard to pursue a career in medicine," recalls O'Brien. Following graduation from medical school, Dr. O'Brien was chosen as one of ten applicants out of a pool of 900 applying to the world famous Wills Eye Hospital. "I was on top of the world," recalls O'Brien. "Here I was, a small town kid from Bradford working alongside many of the leaders in the field of Ophthalmology"